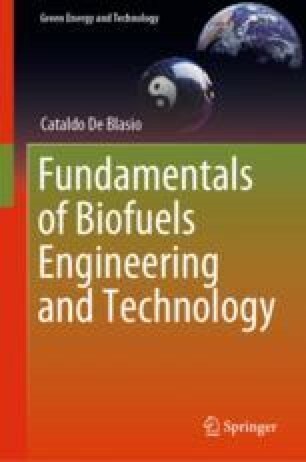 The chapter focuses on the general explanation of how microorganisms produce biofuels. After giving classifications of microorganisms with respect to their functioning, the author of this chapter gives examples and many references on the subject. The common biological pathways are also reported together with the explanation of the main energy carriers needed during the biological processes. The chapter continues by explaining the correlation between oxidation of substrates, reduction of ultimate electron acceptors and half-cell reactions. The diverse processes/steps involved in anaerobic digestion and their kinetic behavior can be, for instance, described mathematically, and there are several models available in the literature. God, in other words, the Nature. Benedict de Spinoza, 1677, Of human slavery, that is, of the forces of affections. In Part 4 of his book: Ethica Ordine Geometrico Demonstrata. Kanehisa Laboratories. (2018). KEGG: Kyoto encyclopedia of genes and genomes [WWW Document]. https://www.kegg.jp/. Accessed July 15, 18.